"This is a self-help book like you've never seen before. It says we do need help and details many helpful strategies. It underscores that drugs are not helpful. I envision parent support groups being formed around this book in concerned communities across America." - Moira Dolan, MD, parent & medical researcher. What to do when your child is labelled a problem by the schools. The truth about Ritalin, ADHD and other 'disruptive behavioral disorders'. In this revised and expanded Chipmunka edition, John Breeding sends out a powerful message and strong support for adults who want to encourage the spirited development of our children. 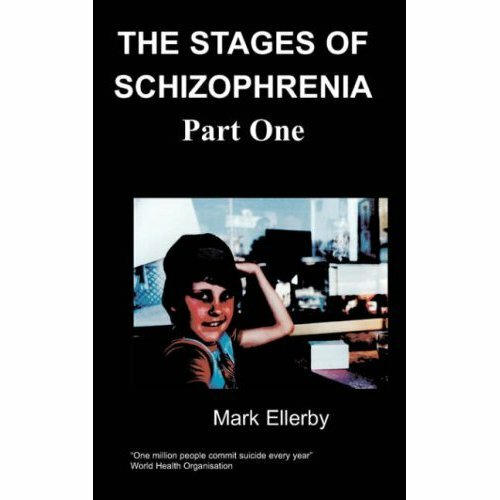 The book calls for a halt to the epidemic drugging of young people for so-called ADHD and other alleged mental illnesses. This book shows us how to counsel our children and insists we must not forsake the great gift of viewing them with the 'eyes of delight!' John is a clear, strong advocate for young people and a great ally to parents wanting support to respond to their children in a positive way. 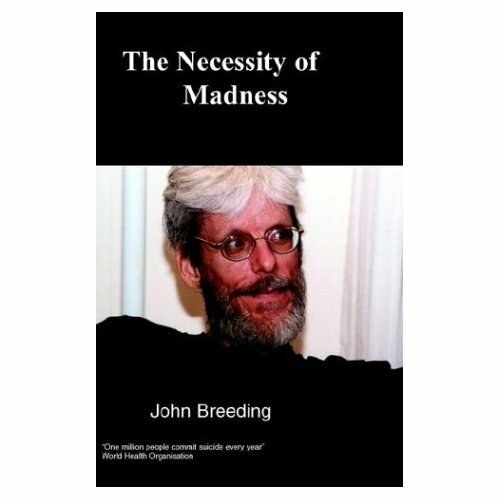 John Breeding PhD is a counselling psychologist from Austin, Texas USA. John is director of 'Texans For Safe Education', a citizen's group dedicated to challenging the ever-increasing role of psychiatry, especially psychiatric drugs, in schools. He is also active on other challenges of psychiatric oppression, and is a steering committee member of the Coalition for the Abolition of Electroshock in Texas (CAEST), whose website is www.endofshock.com . 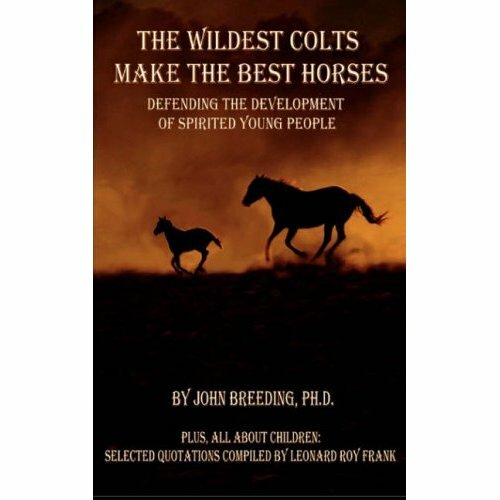 His personal website, www.wildestcolts.com, is a great resource on parenting, psychology and psychiatry. I had a very hard time with my son, Eric, when he was between the ages of 4 and 7. He was angry a lot, demanded a lot of attention, and was seldom content or satisfied. As a father, I was taxed to my limits again and again, especially by his anger, defiance and obstinacy. A session might begin when I would interrupt his attempt to hit his little sister or throw a toy or other object. When I stayed close and did not accept his rejection or allow him to isolate into his room or run away outside, he would turn his fury on me and hit me or pull my hair. I would do my best to thoughtfully restrain him, but I inevitably took some shots. I had some fear of him, but I think my biggest fear was about him—that he would never get through this, that he was and would be “emotionally disturbed,” that we were creating a monster. I was furious with him. There were times when I felt like killing him. By the grace of God, I never struck out at him, but I have to admit that there was a time or two when I was overzealous in restraining him during a session. I yelled at him more than I like to admit. In retrospect, this is what I think happened. His mother and I made Eric go to pre-school/day care when he clearly didn't want to. Many times over he furiously resisted as I carried him to the car and strapped him into his carseat. Part of the difficulty was probably his parents' insecurity about being separated from him. I am sure, however, that an even greater part was Eric's spirited fight for what he wanted and knew was best for him—to stay home! We finally accepted that and he has thrived. Only this year, at age 9, is Eric back in school and doing great! I am convinced that Eric would have been considered an ideal candidate for psychiatric labeling and drugging. Now his teacher considers him a model of good attention for the other students! But as I take a deeper look at the struggle we went through, I am convinced that my own difficulty with anger was a big factor. My anger was suppressed; I was a “passive passive” in many ways. I would sacrifice my own needs and withdraw from conflict. I have no doubt that Eric was picking up on and expressing my anger as well as his own. Children do that. It's also true that Eric was born angry. Though born at home with loving support and without drugs, his birth was hard. He had a big head and was stuck in hard labor for several hours. When he finally emerged, he was wide awake, aware and alert, and he looked intense, as if he'd been through a fight—which he had. Then he and his mother had difficulty getting the nursing established for a day, and Eric raged and raged. What a relief when they finally got that handled! We were learning. Our daughter, Vanessa, had a much easier birth. She also got the benefit of the experience we had gained with Eric. Typically, we spent a great deal more time in the attitude of “relaxed confidence” in Vanessa's earliest years than we had in Eric's. We were exposed to and learning good counseling theory as we went along with Eric. We liked what we saw and heard. It made good sense, but we were like a pilot program. We heard about people who allowed children to “be the boss,” to be “disrespectful” and “out-of-control,” but we had no real, live models to follow. It was very hard to trust that our wild child, easily diagnosable by mental health professionals as some kind of “disruptive behavior disorder,” would turn out loving, cooperative, sweet, sensitive and powerful in a good way. Now I can tell you in all truth and sincerity that this is exactly how I would describe my son, Eric. He is still a pistol and still challenging, and he is such a joy! But when he was angry, for so long and with such intensity, I often felt overwhelmed. As we counseled him during his angry sessions by physically restraining him, we began to see the fear flash on his face. He would start to panic and say we were hurting him. He would have difficulty breathing and begin to choke. It eventually became clear to me that he was working on his birth trauma. Fortunately I had a lot of experience counseling adults on birth trauma, so I could see this and accept it. Even so, I promise you that counseling an aware and cooperative adult is very different from counseling your own panicky child who is fighting you and projecting the whole experience onto you (blaming you). It was so hard. We had a lot of help or we wouldn't have been able to work with Eric the way we did. I want to share with you one more amazing phenomenon that kept surfacing in my work with Eric and continues today. Although it seemed that much of the time Eric was incredibly angry and difficult, the truth is his “big” sessions really only occupied a small percentage of his life. At the “worst” times, I'm sure that no more than 10 percent of the time was he directly confrontive and challenging. Even this amount was largely due to our inexperience and uncertainty as parents in effectively responding to and counseling him well. I know I have observed this same phenomenon in other parents. Much of the suppression we do to our children is not in response to the hurts they show us; the greater part (and this definitely includes the drugging of our children) is our pathetic attempt to control, slow down, rein in their dynamic aliveness! But I haven't yet told you the most amazing part of all this—the realization that possibly I am just like my son and that, as a child, I may have been as robust, zestful, challenging, energetic and alive as he is now. I have noticed this phenomenon in other parents as well. For example, I have a friend who has long believed that she is very much like her son, but very different from her daughter. It is her relationship with her daughter (like mine with Eric) that's most challenging, however; this is where the emotional intensity lies and where the sparks tend to fly. Of special interest is the fact that as my friend is currently experiencing a major phase in her own personal growth, she has spontaneously awoken to the possibility that she really is quite like her daughter. The difference was that this woman's challenging, robust aliveness had been so effectively suppressed as a child that it seemed completely foreign and not a part of her true nature. This is how it was for Eric and me. I still don't know how much like Eric I am. I do know that the very idea has been extremely useful in my own personal counseling and that recovering my own emotional energy has helped me relate to my son more effectively. Please get all the help you can. I am convinced that the years of intensive parenting were a major factor in my eventual divorce from Eric and Vanessa's mother. Don't expect to do this really intense level of work without good, strong support. Remember through it all to see yourself and your partner and your child with as much compassion as you can possibly bring to bear. You all deserve it!